From uttering their very first word to forming a complete sentence, baby language development is one of the greatest gifts of being a parent. Even if you can’t understand much of what they’re saying at this young age, it is rewarding and utterly adorable to hear them communicate with you! The one common mistake many parents will make is missing out on the opportunity to advance their children in language and speech development. Speech can come naturally, but it is beyond beneficial to help them speak sooner! By the first year, generally, only a few words are formed and receptive language is more of a concern. This means that it’s important for you to see that your baby recognizes who is speaking to them rather than what they are saying to you. But by the second year, a baby typically houses a vocabulary of over 50 words. They begin to combine two or three words together to form a short sentence (1). By age 4 or 5, they should be able to speak in more complex sentences, conveying their needs and wants to you in full (2). Does that mean some kids are just gifted with the knowledge of speech, or are there ways to get your baby to speak sooner? Here are the best-kept secrets that you should know to get your baby speaking sooner! From the details of the plane in the sky to the bird chirping in the tree, identifying anything and everything around them offers a greater exposure of words. Go ahead and talk to your child about a carburetor and how to change a flat tire, or point to the man riding a bicycle and describe the importance of his helmet. Just because you think they won’t understand you, hearing the words roll off your tongue helps them get exposed to a wider variety of vocabulary. Do not finish his or her sentence. Although it may be tempting, try to allow your toddler to finish his or her sentence. Unless it is clear they are unsure of the word they are trying to use, be patient and let their brain turn its gears a little. The gratification they will receive can help motivate them to continue on with the confidence that they have gained through overcoming the challenge of speech. Narrate your actions as well as theirs. It’s important to identify what you are doing and how you are doing it. But it’s equally important to talk about their actions, too. This technique developed by speech therapists is called “parallel-talk.” Talk about the details of when your baby plays with toys or is lost in observation of something. The more you explain certain objects and their performance or importance, the more your children will uncover new vocabulary. Again, word exposure is key so narrating everyone’s actions can help children get more familiar with a wider range of words. Expand and repeat what your child is saying. 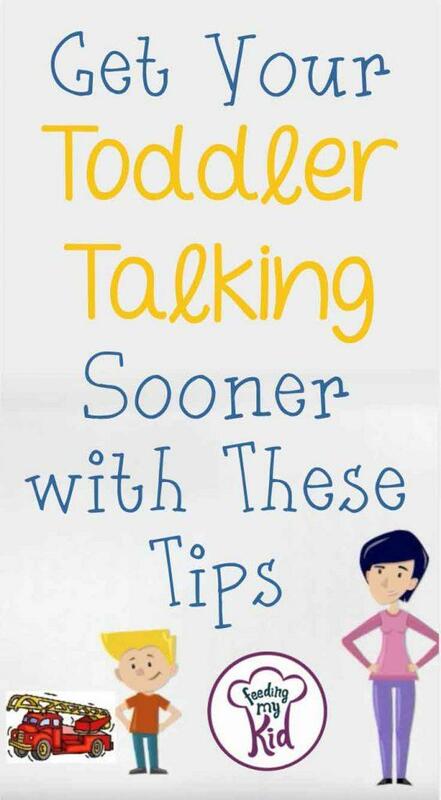 If your little one is on the brink of talking but utters only 2-3 words at a time, you should utilize this opportunity to help them improve their grammar and contemplate more words. If he says “boy run,” you say “yes, the boy is running!” This will incorporate a few more words for them to get familiar with. Question a little, but not too much! Don’t overstimulate your little one by asking too many questions. Testing their ability to speak can be counterproductive and make them feel overwhelmed. The overload leads them to retreat back to silence and feel timid to answer all the questions correctly. It’s okay to practice speech by testing their knowledge, but remember to be mindful of the amount of inquisition they are going through. On the contrary, it is helpful to challenge your child with a brief pause or opportunity to anticipate the rest of the sentence. At the end of a familiar line in a storybook, try to see if they can finish the remainder of the sentence. Utilize a rhyming book to see if they can finish the sentence with a word that would fit rhythmically. It’s like a fill-in-the-blanks for children to practice their speech and correct syntax. Did You Know There is a 30 Million Word Gap Between Children With Books and Those Without? This quick video explains the drastic difference between young children with an abundance of books to read and those void of the literary plethora. Here are 5 Quick Tips to Get Your Baby Language on a Roll! Watch this helpful video to find out how to teach your baby to speak; from “parallel talk” to providing choices, these strategies can help your child speak sooner!